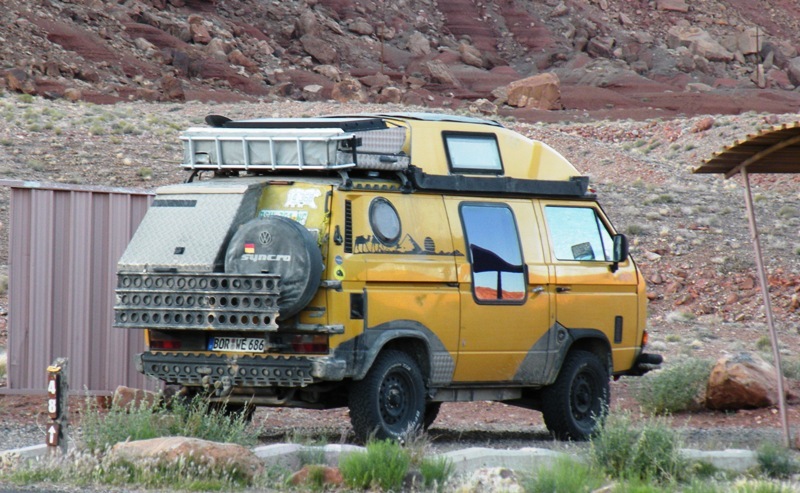 This adventure van was used to travel across the world. 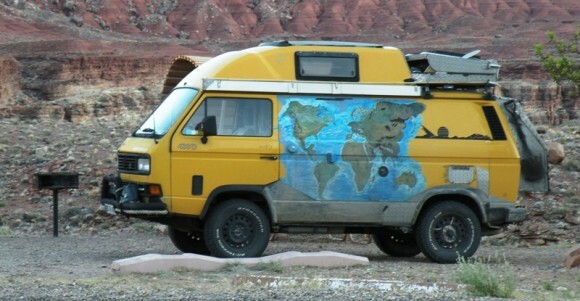 The couple who owns this van apparently traveled across Africa, the US, and Canada. Seen here in Zion National Park, this heavily customized Vanagon Syncro is a dream for Vanagon enthusiasts. The most noticeable hack is obvious the large side window in the sliding door. We have seen this side window hack before, but never on the door. 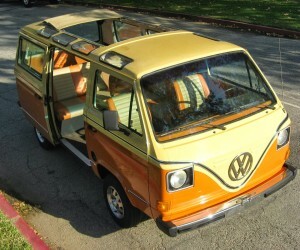 This Vanagon appears to have some kind of round vent at the rear of the van. 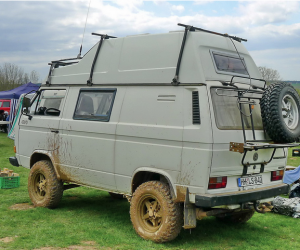 With its high top, custom roof racks, rear hatch racks and bumpers, this Syncro is ready for anything you can throw at it. I wish we could see some interior pics. Click through to see a large world map mural on the other side of the van.